Massachusetts native, Joyce Celms, has spent most of her life helping others. She holds a Masters Degree in Deaf Education from Boston University and spent her early twenties teaching and helping the hearing impaired. After marrying her husband in 1976, she moved to Seattle where they started a family and she raised their four children. When her mother became ill in 2004, she returned to the South Shore of Massachusetts to look after her. Celms has also always been open to new adventures. During her studies, she spent time in England and, later in life, she spent summers working in Alaska. More recently, she was the first personal stylist at the local Nordstrom for several years, before joining Jordan’s Furniture in Natick, Massachusetts. Just five months into the new job at Jordan’s, on February 20, 2012, her life changed completely. It had been a long day at work and Celms had spent many hours walking around, but had little time to stop for food or water. By the end of the day, she was exhausted and made her way home. While she was cooking dinner that night, feeling light headed, tripped and fell. The next thing she knew, she was waking up in the ICU with a doctor leaning over her, asking if she wanted surgery. Celms later learned that she had fallen, landed on her face and pinched her spinal cord. She had remained unconscious by the door for ten hours before she was found and nearly caught hypothermia because the heating was off. Celms has begun the path to recovery and adjustment to life after the accident, but it has been painful. 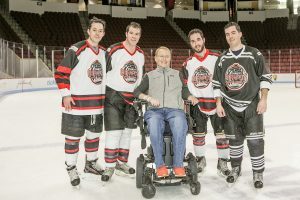 “The most challenging things have been changing my image of myself, grieving for the person I was, and trying to figure out how to be someone different in a wheelchair,” reflected Celms. “You have to reinvent yourself.” The logistics have also been challenging. She can’t go into her favorite restaurants because they are not wheelchair accessible and she has not had a bedroom or shower of her own since the accident. 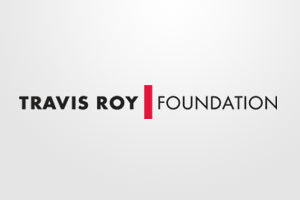 The Travis Roy Foundation has helped Celms with some of these challenges. She recently received a $6,000 grant from the Foundation for modifications to make her home more accessible. This support has had a tremendous impact for Joyce by helping her adjust and rebuild her life after the accident.